Since the 2008 financial crisis, income inequality across the globe has risen sharply, the global economy is moving significantly from asset-based economic transactions to an increasingly speculative financial one, resulting in weaker domestic economies and a fragile financial system. While economists and decision makers search for solutions to the current problem, disruptive technological advancements are increasingly transforming our daily lives, creating new opportunities and reshaping traditional industries. Disruptive changes in the form of artificial intelligence (AI), blockchain, Internet of Things (IoT), and other medical and manufacturing technologies, continue to radically alter how we do things, how leadership is perceived, how businesses are run, and how manpower is organised. What do we need to do to adapt to disruptive changes? Is it the answer to our global structural problems? The 13th WIEF that will be held at the Borneo Convention Centre in Kuching, Sarawak, creates a platform for us to discuss these burning issues, find solutions and develop initiatives that can better prepare us for the technological revolution that is going to change our lives. 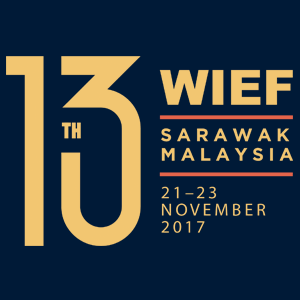 The 13th WIEF was held on 21st – 23rd November 2017 at Borneo Convention Centre Kuching, Sarawak, Malaysia. Masterclass – Can Herbology Discover Cures for Tomorrow’s Diseases? Masterclass – What are the Essential Differences between Management and Leadership? 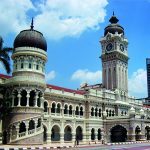 Masterclass – How Can SME Producers Enter into the Mainstream Halal Value Chain? Masterclass – The Internet of Things (IoT) Technology a Threat to Security or a Revolutionary Opportunity? 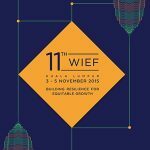 The 13th World Islamic Economic Forum (WIEF) with the theme, “Disruptive Change: Impact and Challenges” was held in Kuching on 21-23 November 2017. The Forum was held against a backdrop of geopolitical turbulence, refugee crises, impact of populist policies, uncertain fate of multilateral agreements including on climate change and international trade as well as the advent of the 4th Industrial Revolution. 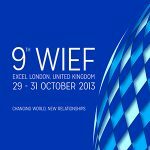 The Opening Session of the 13th WIEF was addressed by the Hon. 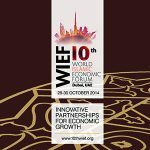 Datuk Patinggi Mohd Najib Tun Abdul Razak, Prime Minister of Malaysia and Patron of the WIEF Foundation, the Hon. Datuk Patinggi (Dr.) Abang Haji Abdul Rahman Zohari bin Tun Datuk Abang Haji Openg, Chief Minister of Sarawak and the Hon. 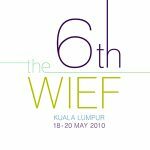 Tun Musa Hitam, Chairman of the WIEF Foundation. 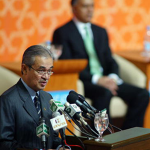 The Prime Minister of Malaysia moderated the Special Addresses delivered by H.E. Dr Saad Eddine El Othmani, Head of Government of the Kingdom of Morocco, H.E. Djaffer Ahmed Said Hassani, Vice President of the Union of Comoros, H.E. Rustam Nurgaliyevich Minnikhanov, President of the Republic of Tatarstan of the Russian Federation, H.E. Bambang Permadi Soemantri Brodjonegoro, Minister of National Development Planning and Special Representative of H.E. Joko Widodo, President of the Republic of Indonesia and H.E. 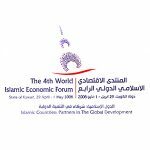 Dr. Mohamed Jouini, Vice President of the Islamic Development Bank. 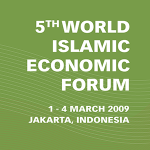 The Forum was also attended by 3,249 participants including 23 Ministers, State Ministers and Special Representatives from Malaysia, Indonesia, Philippines, Iran, Palestine, Morocco, Kazakhstan and Russia, leading corporate figures, businesswomen, young entrepreneurs, thought leaders, academia, representatives of the creative arts and the media from 77 countries. A highlight of the Forum was the presentation by Steve Wozniak, Co-Founder of Apple Inc. 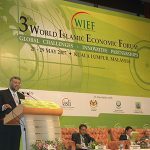 The Forum discussed topics relating to impact and challenges of disruptive change on the global economy, mapping future businesses, reimagining an inclusive economic system, prospects of Fintech in Islamic finance, reconceptualizing education and skills for the 4th industrial revolution, fostering entrepreneurship amongst women and youth, SMEs, the Halal value chain, the Internet of Things and Blockchain Technology. 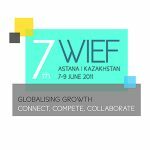 The Forum focused on promoting economic collaboration and business leadership through a variety of programmes including Panel Discussions, Masterclasses, Initiative Room sessions, Business Networking Breakfast, Awqaf Exchange @ WIEF, Business Exchange, Ideapad, LinkedUp, Special Complementary Programmes, Sponsors Programmes, Country Investment Programmes, WIEF Exhibition and Marketplace of Creative Arts (MOCAfest). – The importance of preserving the interlinkages between digital economy and the green economy. v. To ensure that disruptive change covering Artificial Intelligence and Robotics, Fintech, Blockchain, the Internet of Things, Big Data Computing and Autonomous or Driverless Vehicles, and Bitcoin operates within an appropriate regulatory framework. 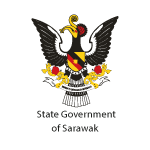 A special “Sarawak Focus” Programme covering Investment Opportunity in Sarawak Corridor of Renewable Energy, Sarawak State Initiatives on Digital Economy and Sarawak as a Premium Tourist Destination was also held during the Forum. 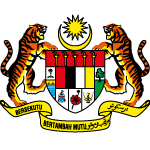 16 MoUs and Agreements relating to technology, telecommunications, halal industry, retail partnership, financial services and food industry amounting to USD2.43 billion were exchanged during the Forum. The Forum recorded its appreciation to the Hon. 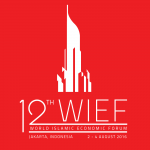 Datuk Patinggi Mohd Najib Tun Abdul Razak, Prime Minister of Malaysia & Patron, WIEF Foundation, the Hon. 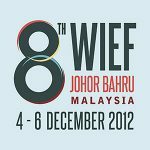 Datuk Patinggi (Dr.) Abang Haji Abdul Rahman Zohari bin Tun Datuk Abang Haji Openg, Chief Minister of Sarawak and both the Federal and State Government Agencies involved for hosting the 13th WIEF in Kuching, Sarawak, Malaysia and for the warm hospitality accorded to all participants. Finally, the Forum also acknowledged the contribution and support of Members of the International Advisory Panel, Sponsors, Partners, Role Players, Secretariat, Liaison Officers and Volunteers.